The Canada Revenue Agency had an early chance to access information on hundreds of Canadians involved in secretive offshore accounts, but missed out, CBC News has learned. 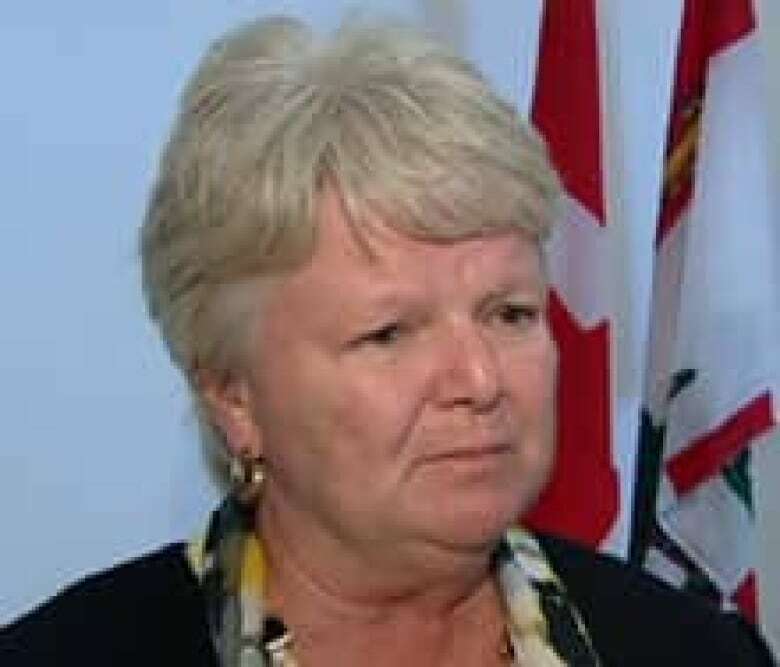 Revenue Minister Gail Shea told the Commons Monday her agency now has the data, over two months after the first media reports. The Canada Revenue Agency had an early chance to gain access to what is believed to be the largest-ever leak of tax-haven data, containing financial information on hundreds of Canadians involved in secretive offshore accounts, but missed out because of a policy of not paying for information, sources have told CBC News. On Monday, Revenue Minister Gail Shea rose in the Commons to say the government now has access to the data – over two months after the first media reports. The 2.5 million files include financial and personal details on more than 550 Canadian taxpayers linked to companies and trusts based in the Caribbean and South Pacific. Revelations in the leaked documents have rattled countries around the world since early April, when a global group of media outlets, including CBC News, teamed up to report on them. Well before that, though, the federal government had a chance to get its hands on the data, according to sources. The sources said the Canada Revenue Agency was offered access to the records some time before last December. The sticking point was the agency's policy of not providing rewards for information — even as countries including the U.S. and Germany have ponied up millions to whistleblowers in other cases. Instead, after the leak became public, Shea authorized the CRA to pursue "all means available" to get the files from the CBC and the Washington-based International Consortium of Investigative Journalists, which had obtained the data without paying and shared it with news outlets. "The CRA does not have this list, as those who have it have not turned it over to us," Shea said in early April. CBC News initially reported there were at least 450 Canadians among the 130,000 people named in the huge trove of leaked offshore financial records. Further investigation has turned up at least 100 more, and it is believed additional names will continue to be unearthed as the 2.5 million records are parsed. The minister and CRA officials repeated a half-dozen times in the ensuing weeks that they wanted the CBC and ICIJ to hand over the names. The CBC declined to hand over the data or identify its source, and said it would defend itself in court if necessary. Shea finally announced May 9 that "I have reached out to the government of the United Kingdom and secured a commitment that information relevant to Canada stemming from this data will be shared." On Monday, Shea rose in response to a Conservative MP during question period to say that Canada now has possession of "extensive data on Canadians with offshore assets." A press release from Shea's office said the information was obtained "in accordance with our tax treaties." "Today we're seeing the benefits of Canada's close collaboration with our international partners," she said. "Experts are reviewing the information on a priority basis and will undertake compliance actions where warranted." The minister said it was "a great day for hard-working taxpayers and a bad day for tax evaders in this country." Britain, the U.S. and Australia had obtained the leaked documents more than a year and half prior, and had used them to quietly launch criminal investigations against wealthy taxpayers hiding money in some of the world's most secretive jurisdictions. Both Britain and the U.S. have shelled out for such information in the past. Canada has never done so. "We don't seem to be the first one to act," said Liberal Senator Céline Hervieux-Payette, deputy chair of the Senate banking committee. "I was told in some cases people were willing to release the information as a whistleblower and the government refused the information." CBC News has asked the Canada Revenue Agency and the minister multiple times whether the agency turned down an offer of the leaked information. "I can't answer that," was Shea's reply during a May 10 scrum outside the House of Commons. "Because you don't know or you don't want to say?" a reporter inquired. "I'm not aware of what data we were offered," Shea responded. The CRA declined to answer questions about the leak again last week, saying in an email that it "cannot comment on leaks." Its director general of criminal investigations did confirm, however, that until the most recent federal budget, the tax agency would not reward whistleblowers. The budget ushered in a plan to pay tipsters up to 15 per cent where the CRA recovers more than $100,000 from someone using offshore accounts to dodge their tax obligations. "Previous to this measure that's been introduced, the agency did not pay for information," Claude St-Pierre said in an interview last week. Asked specifically whether that prevented the agency from acquiring the latest offshore leak, St-Pierre said, "I can't answer that." It's not the first time the Canada Revenue Agency was approached with confidential tax-haven financial files. CBC News has learned that the agency was approached by the whistleblower behind the 2007 data leak at Liechtenstein's LGT Bank, but rejected his offer to turn over a list of 106 Canadians who had stashed their money in the European tax haven. Heinrich Kieber, the source of that leak, wanted money as well but the agency wouldn't pay. In the end, he got $5.5 million from Germany and unspecified sums from Britain and the U.S. to supply DVDs full of records on his former employer's clients. The Canada Revenue Agency eventually obtained the information from its partner tax agencies, and used it to launch dozens of audits, finding $22.4 million in unpaid taxes and so far recouping $8 million of that. Germany says it has collected hundreds of millions of dollars. A third major disclosure of offshore banking records, in 2008, saw the U.S. obtain the account information of 4,500 Americans with money stashed in Switzerland. In that case, the banker at Swiss giant UBS who alerted the U.S. Internal Revenue Service was jailed for aiding tax evasion, but later collected a $104-million US whistleblower award. The Canada Revenue Agency's St-Pierre said he welcomed the newly bestowed power to pay for such leaks. "The whistleblower program that is focused on the international aspect of this will be very helpful in receiving additional information that will allow us to do an even better job of addressing international tax evasion," he said. If you have more information on this story, or other investigative tips to pass on, please email investigations@cbc.ca.